Hey everyone! 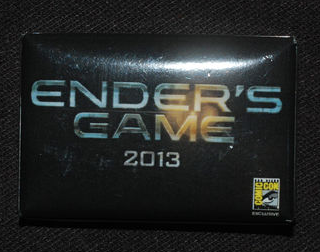 We’re going to be giving away 15 Collectible Ender’s Game Pins from San Diego Comic-Con 2012. 1. Leave one post on this thread from PhiloticWeb.net telling us your favorite Ender’s Game quote. 2. Get your post in before September 30th 11:59PM Pacific Standard Time. The winners will be selected by a random number generator and all duplicates will be removed. After the winners are selected, we will announce the winners on this post and contact everyone via PM on PhiloticWeb shortly after the giveaway closes.